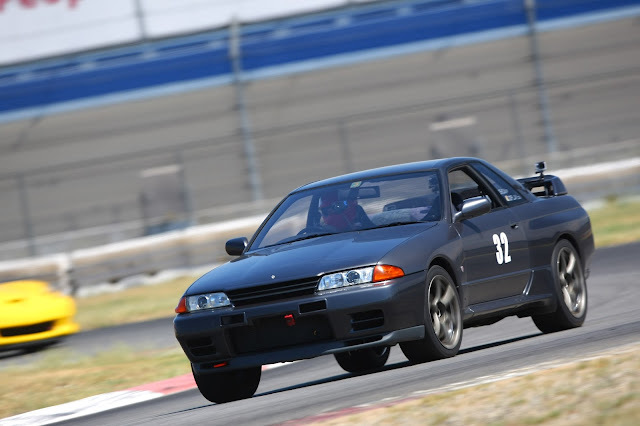 Last Sunday, September 8th, I took the ShoworDisplay.com NISMO R32 Skyline GT-R out to Auto Club Speedway for the Fontana Nissan 5 Meet. The track portion of the event was hosted by Speedventures, and there were a number of Nissan GT-R owners there with their cars. Good to see a lot of cars out and going around, even in the heat. Best lap of the day was the last hot lap of the day. 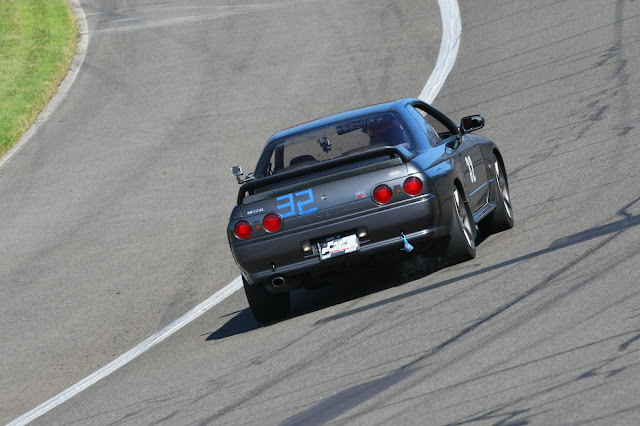 http://www.showordisplay.com NISMO Nissan Skyline GT-R at the Fontana Nissan 5 event at Auto Club Speedway. It was a hot day near 100F. Using the deluxe version of the Race Render Software. Nice program. Makes doing the overlays easy. http://www.racerender.com/RR2/Features.html . The G Tech Fanatic RR was used to gather the data. Nice unit that will show you your lap times, and segment times. Its a $300 box that along with the Fanatic PASS software gives you some great in-expensive data logging capabilities.